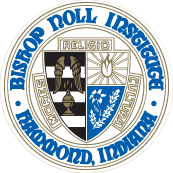 Bishop Noll defeated Morton High School in a non-conference match on Monday. The practices that the team has had have really payed off and helped the boys win 5-0. Go Warriors!!! Our overall record is now 6-1 and conference record is 3-1. Our next match is scheduled on September 12 @ 5 pm against Marquette Catholic High School at Marquette.